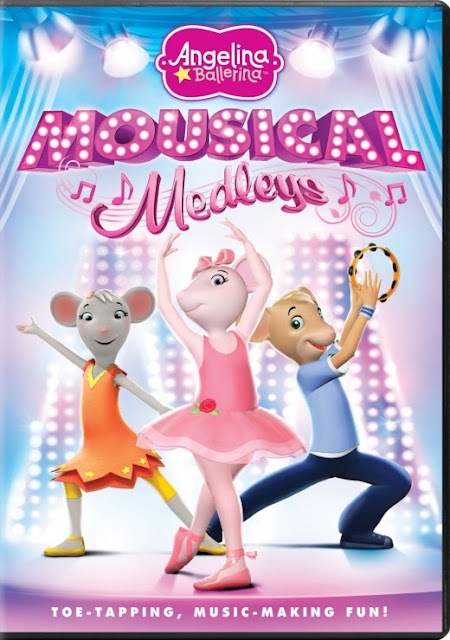 Continuing in my series of movies and shows based on toys for young children, let’s celebrate Angelina Ballerina Mousical Medleys! The mouselings visit with the stars of Mousical the Musical may be ruined. In this hour-long show, Gracie jeopardises a dance-a-thon when she turns her attention to recycling. To create a fun gift set, bring together a copy of the show on DVD, one of the pretty books and a beautiful Madame Alexander doll like the one shown here! Order your copy of Angelina Ballerina Mousical Medleys from Amazon. 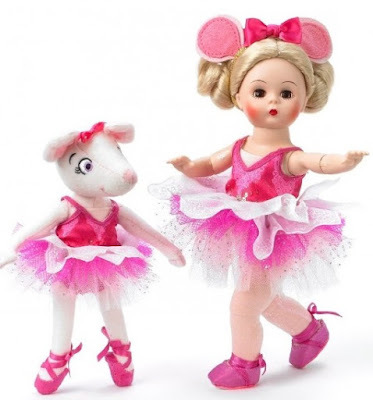 See all of Amazon's Madame Alexander Angelina Ballerina dolls. Toy company HASBRO and Kidtoons joined together to create movies and shows based on toys that are appropriate for young children to view. 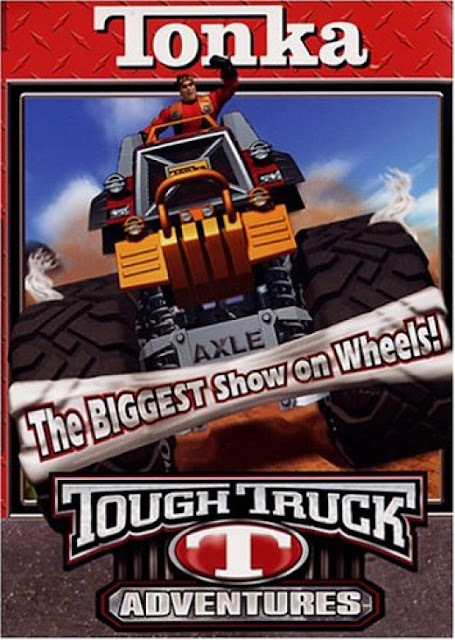 On this page, the fifth in a series, let's celebrate Tonka Tough Truck Adventures: The Biggest Show on Wheels! Hard work. Heroics. Humor. Horsepower. Home cookin'. Combined to "drive" Tonka Tough Truck Adventures. Any construction truck loving boy or girl will enjoy watching Joe, a mechanic, and the other characters as they find adventure in a revved up world. 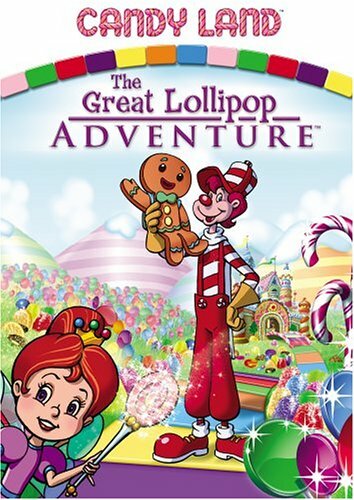 This show features unique vehicle characters as the heroes of the CGI-animated film. Join Joe, the master mechanic, along with the 12-ton, 4-wheel drive action heroes: Axle, Rally, Gator, Bolt, Fins, Slice, Cutter, Trapper, Dunes and Crusher in the small town of Biggsburg as they encounter big adventures in their super charged world. 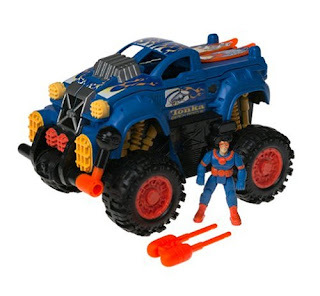 To create a fun gift set, simply put together a copy of the DVD with one of the 4-wheel drive action heroes! Order your copy of Tonka Tough Truck Adventures from Amazon. Toy company HASBRO and Kidtoons joined together to create movies based on toys that are appropriate for young children to view. 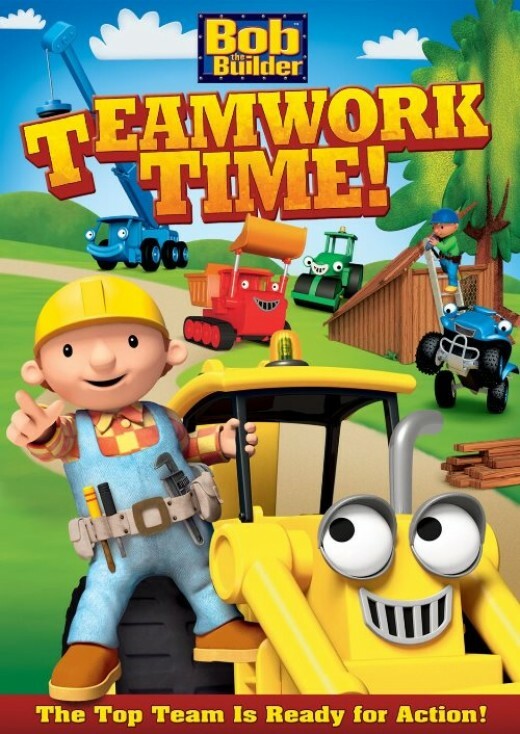 On this page, the forth in a series, let's celebrate Bob the Builder: Teamwork Time. In the 2012 program, we find out all about teamwork when Dizzy learns to be thoughtful, Roley learns that safety is the most important, and Scrambler needs a team to get the job done, which are all important lessons. 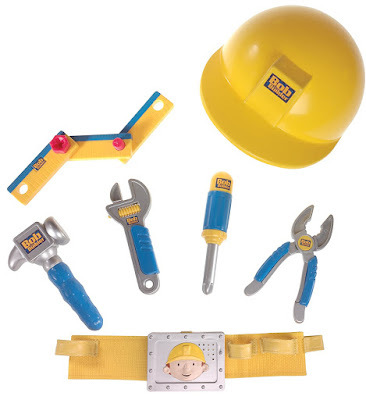 I personally know a couple of grown men who would have loved to own this Bob the Builder Deluxe Talking Tool Belt set when they were little boys. 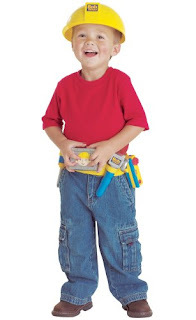 It features everything your young (aged 2 to 5 years) builder requires to work his own construction site, including a pair of pliers, a screwdriver, a wrench, a hammer and a ruler. He’ll be impressed with the belt bucket when it speaks in Bob’s voice and, perhaps most importantly, he will LOVE wearing the hard hat. If you are creating a gift set, start with a copy of the program on DVD and then add an item like this fun construction set! Order Bob the Builder Teamwork Time from Amazon. Order the construction set here. Toy company HASBRO and Kidtoons joined together to create movies based on toys that are appropriate for young children to view. On this page, the third in a series, let's celebrate Noddy and Friends as seen on PBS. 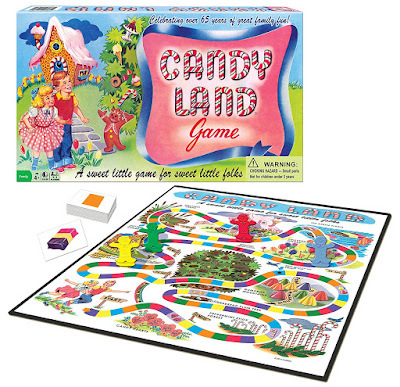 Noddy is set in a village called Toyland whose people are "committed to friendship, respect, caring, and cooperation." The doll we know as Toddy loves helping others. In this film, he helps those around him realize that it doesn't really matter who goes first but rather that everyone gets a chance to take part. 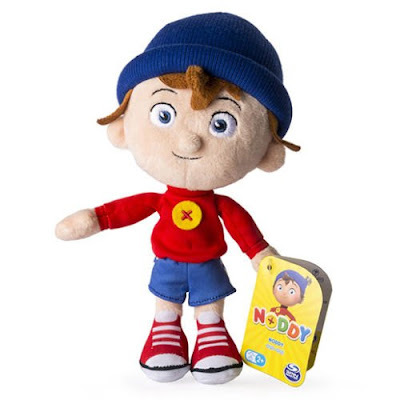 If you are creating a gift set, start with a copy of the program on DVD and then add an item like this adorable plush Noddy! 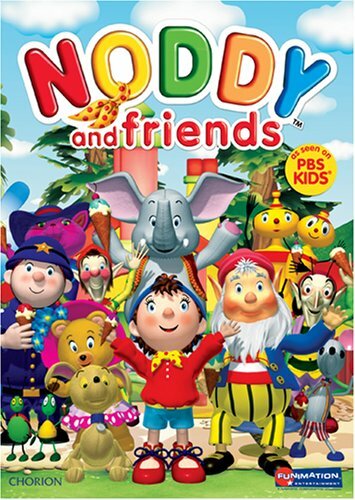 Order your copy of Noddy and Friends from Amazon. Check out the Noddy toys on Amazon. Author's Note: Originally published elsewhere in 2008. Toy company HASBRO and Kidtoons joined together to create movies based on toys that are appropriate for young children to view. On this page, the second in a series, let's celebrate Thomas and Friends: The Great Discovery Movie. In this movie, Sodor Day is coming and the engines are busy preparing. When Thomas gets lost in the mountains, he discovers the old town of Great Waterton! Soon the whole island is buzzing with the news of his discovery. Sir Topham Hatt puts Thomas, along with his friends, in charge of restoring the town in time for the Sodor Day celebrations. Fans of Thomas the Tank Engine need to start with a complete set like the Great Discovery set shown here though of course a complete set is expensive. If buying a set is too much for your budget there are, of course, plenty of other Thomas toy items available. Whatever you choose, combine it with a copy of the movie to create a great little boy's gift set! 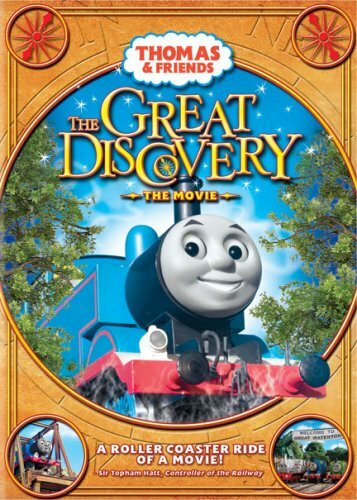 Buy your Thomas and Friends The Great Discovery Movie from Amazon. Find the Great Discovery train set on Amazon. Sometimes a picture is worth a thousand words. 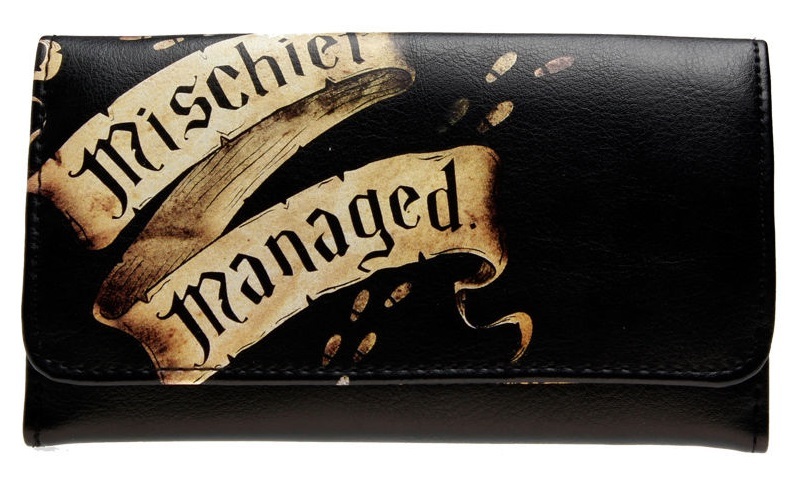 That is definitely the case with these attractive Harry Potter wallets. They feature themes from our favorite book and movie franchise and they are so cute that I hardly need say a word about them! A picture alone would do the job quite nicely. 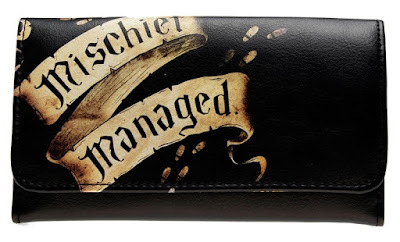 Anyway, whether you prefer the Mischief Managed theme, you would like the Hogwarts Express wallet with the platform 9 3/4 reference or you always dreamed of an acceptance letter from Hogwarts School of Witchcraft and Wizardry, there is a wallet for you. You can read more about them and find them on eBay right now by clicking here. They seem reasonably priced for a product that is not leather. Yes, that is the obvious downside of these wallets. It would be great if they were leather but, if they were constructed from leather, no doubt they would be a lot more expensive. 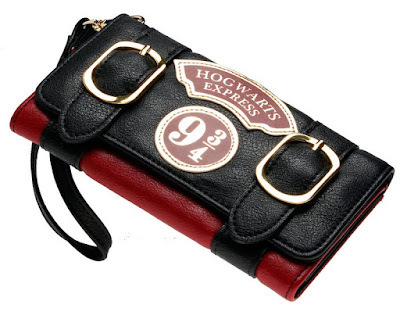 Buy your Harry Potter wallet on eBay.